‘2 Person Best Ball’ is a golf format for teams of two. 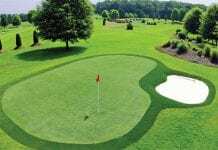 These two golfers play their own golf balls throughout and the lower score between them on each hole counts as the team score. 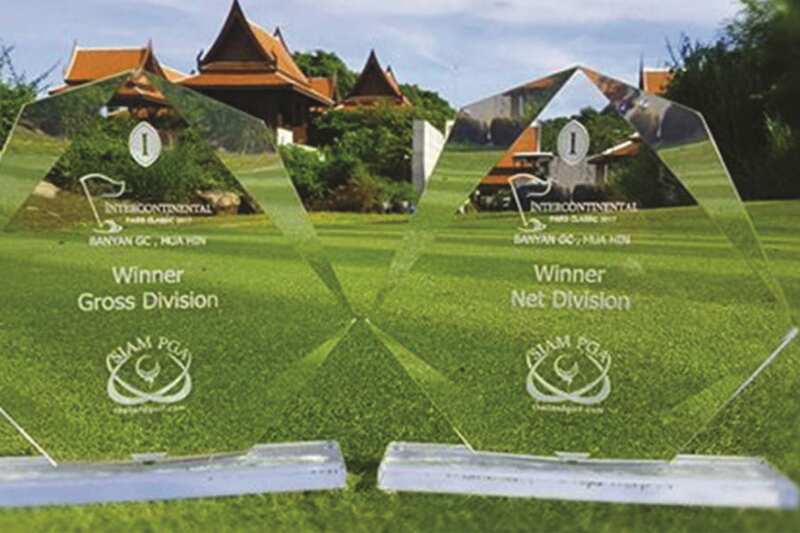 That was the format for the inaugural InterContinental Pairs Classic 2017 played at the Banyan Golf Club Hua Hin last month. 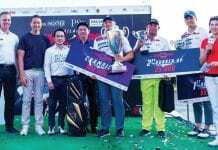 The trio of the Intercontinental Hua Hin Resort, Banyan Golf Course and Siam PGA (that’s Professional Golf Arrangements) presented an event which is destined to be a fixture on the local golfing calendar. 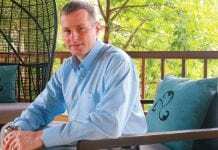 Andy Harris, Managing Director of Siam PGA, was the instigator and is a Welsh born golf promoter with many years’ experience in golf promotion in the USA, apart from in Thailand and other parts of SE Asia. Andy is a fan of the format and was on hand to coordinate the day’s proceedings. Andy Harris surrounded by a bevy of beauties from Siam PGA & the InterContinental on the first tee Pairing two golfers is not a common format in Hua Hin and there’s some strategy involved. 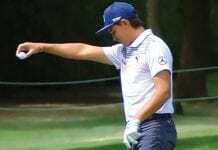 If your partner has a hole which has gone ‘pearshaped’, the pressure is on you not to do the same and there’s little point in you both scoring a birdie on the same hole. The golfing expression ‘risk and reward’ has an added meaning; if you partner has a safe position you may choose to go for the high risk shot. However over thinking these strategies brings many to grief. Michael Wicke & Sam Sheriff (2nd & 3rd from the left).were declared the InterContinental Classic Pairs Champions. Pictured above is the presentation by Andy Harris (left), Stacy Walton (right) and the InterContinental GM Michael Janssen (2nd from the right) to the winners of the Gross Division with a score of 71. Winners in the Net Division with a score of 66 were the team of Martin Howell and Ashu Tosh Sharma. Prizes on the day for the top 3 places for both gross and net scores included 2 nights at the InterContinental Hotel in Hong Kong; 2 nights at the InterContinental Resort in Danang, Vietnam; 2 Nights at the InterContinental Resort in Pattaya and 2 Nights at InterContinental Hotel in Bangkok. Stay tuned to a bigger and better event next year which co-host Andy is hoping to expand into a 2 day event.